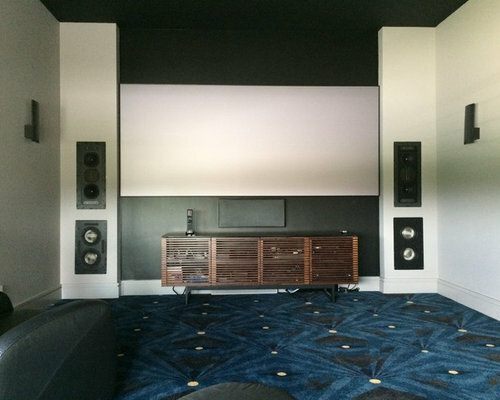 Custom Home Theater featuring a 132" Screen Innovations Black Diamond Screen (2:35 format) , a Sony 4K Projector ( VPLVW665ES) , 7.2 Surround Sound System, and Lutron RA2 automated lighting & shading installation. 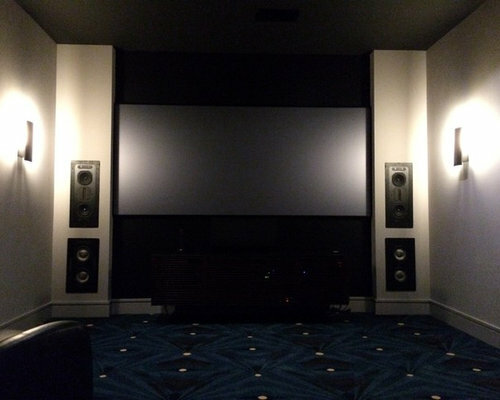 Custom Home Theater featuring a 132" Screen Innovations Black Diamond Screen (2:35 format) , a Sony 4K Projector ( VPLVW665ES) , 7.2 Surround Sound System, and Lutron RA2 automated lighting & shading installation. Displayed with Shades Closed.